Catch the Unicorn and grow to a $1 billion valuation as fast as possible at almost any cost? Or ride the values-driven Zebra to profitable sustainable growth that benefits all? Join us as we discuss and debate these vastly different growth approaches in the context of women’s entrepreneurship. The symposium aims to promote discussion and collaboration between academia, entrepreneurs, start-up investors, and the community at large. Space is limited, ticket information can be found at: http://business.unr.edu/wes2019. Many thanks to our generous sponsors USBank and Eren and Fatih Ozmen, Owners of Sierra Nevada Corporation. 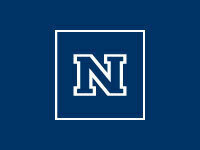 For more information contact ozmencenter@unr.edu.